Talk about WOW factor!! This Place has it!! 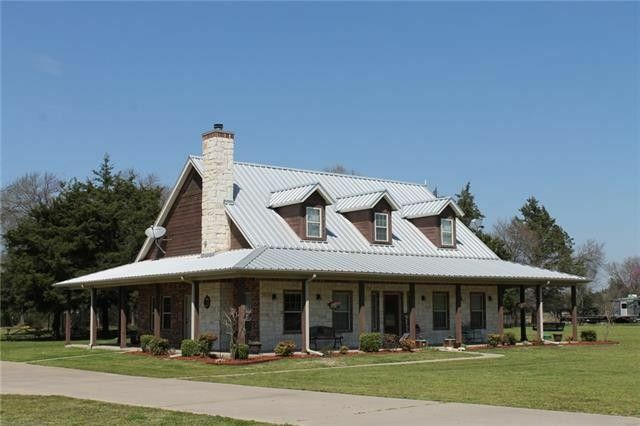 Beautiful country home on 40 acres. Inside, Open Living Area with stone wood burning fire place, wood floors and custom light fixtures. Granite counter tops in the Kitchen and Bathrooms. Custom cabinets throughout the home. Stone center Island in Kitchen. Also, Stone enclosed cook top in the Kitchen. Huge Master Bedroom and Bathroom down stairs. Upstairs, two bedrooms, jack & jill bath, bonus room, sitting area and desk area. Outside, wrap around porch. storm seller, 60 X 40 shop-barn with 60 X 60 overhang. Two other equipment covers near barn. Sandy loam land is fenced and cross fenced with two stock tanks and lots of trees. Deer and other wildlife in area! !